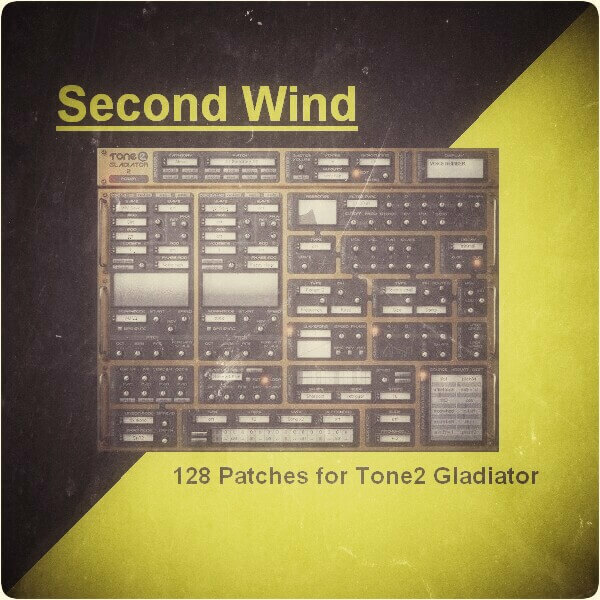 From one of the lead sound designers on the Tone2 team comes Second Wind, a collection of 128 pro quality presets for Tone2’s Gladiator softsynth. Covering a wide variety of musical styles, the patches are neatly organized into various categories — Basses, Leads, Pads, Sound Effects, etc. This bank is in Gladiator’s own GLB bank format and also compatible with the original Gladiator 2.1 feature set, therefore requiring no expansions to use.